One of the things we love most about calling New England home is the abundance of great seafood there is just a stones throw away. Lobster, crab, clams, and of course clam chowder are just some of the options for people that fancy shellfish and the place that is probably the undisputed favorite is Bob's Clam Hut in Kittery, Maine. Situated on historic Route One, Bob's has been a Maine institution for decades. Bob's was first opened in 1956 and quickly became a favorite of vacationers to the Maine coast. It has since been featured by the Food Network, USA Today, Thrillist, and a number of local publications. The hut has a rich history. It isn't hard to see why it has received these accolades once you visit though, as their commitment to freshness and quality is immediately obvious. They offer a great variety of New England seafood staples including clam and fish chowder, fried clams, and crab cakes. Our favorite though, is of course the lobster rolls! Check out their menu to see all the options they have! We love Bob's because their lobster tastes like they may have literally pulled it out of ocean before cooking it up. You can get them "Maine Style", served cold with lettuce and light mayonnaise or "Connecticut Style" served warm with melted butter over it. We prefer the hot and buttered route, but really, either way is amazing! 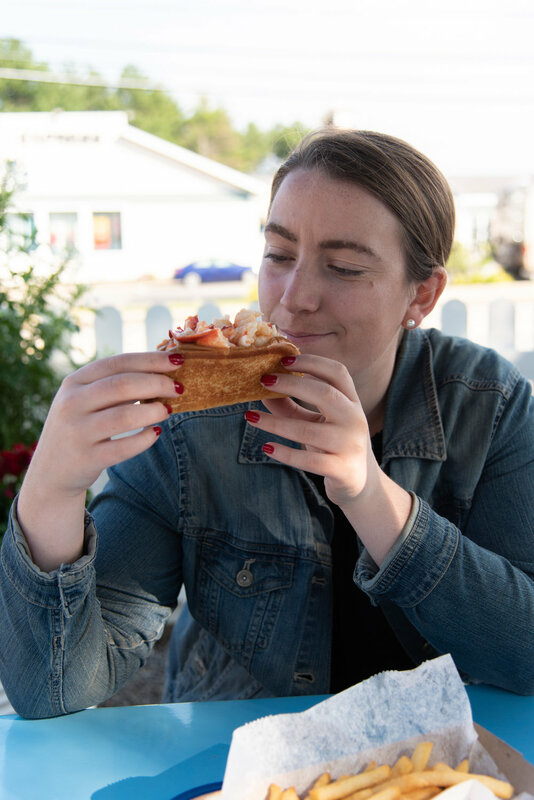 Nothing quite says "summertime" in New England like a trip to Bob's and we try and stop in anytime we are up in the Kittery area, and you can now get their amazing seafood in Portland after they opened a new location downtown.